Looking to improve your Corgi's diet? Here are the most delicious foods your pet will love! Corgis are an energetic breed known for their tenacious work ethic and strong personalities. Although they are small in stature, these type of dogs are always on the go and like to push the boundaries. A foxy face, short legs, and big ears make this breed easily distinguished and irresistible. They are currently in the Top 20 most popular dog breeds in the United States and gradually becoming more popular over the years. Some famous Corgi owners you might know include Queen Elizabeth II, Betty White, and Steven King. Those who are deciding whether to purchase or adopt a corgi should be prepared for several challenges that are associated with this adorable breed. Due to their active ambition and body structure, they are prone to extra nutritional needs and prevention of several health concerns. This breed will keep you on on your toes and will bring a lot of love and laughter to your life. Choosing good and tasty food for your Corgi can be challenging, so we have provided you with the right tools to help determine what to look for. Our research will help you become more knowledgeable and be more comfortable examining the exact nutritional needs and health concerns for your pup. Originally bred to herd sheep, horses, and cattle, most Corgis live a moderate to very active lifestyle. They might have an average height of 10-12.5 inches and weigh between 22-27 pounds, but don’t let that fool you. These short legged friends require a lot of exercises and enjoy being assigned a “job” by their owners. Working on a farm, being the family watchdog or acting as a service dog are just some of the jobs corgis are known to be excellent at. Incorporating a wide range of activities will help keep your pup healthy, engaged, and happy. Adequate mental stimulation, exercise, and a healthy diet are the three fundamentals to maintain a high amount of energy. Choosing diet with high-quality ingredients will help accommodate their lifestyle and provide enough nutrients to keep their bodies healthy and active. The food should contain high-quality protein and healthy fats. Having a good source of protein and fats will help support muscles, healthy coat, and provide sufficient energy. Whole grains, vegetables, and fruits are also vital ingredients that should be included. Corgis love to eat so concentrating on extra nutrition needs and being aware of the ingredients, and behavior tendencies are very important. Because they can overeat so easily, they can become overweight quickly due to their type of body. Making sure you are aware of calorie requirements will help you determine what to feed and how much you should feed your dog. What are the recommended calorie requirements? Corgis need to be fed based on their activity level, age, and gender and not their weight. Every dog is different, so make sure you aware of the individual needs your pet needs. Although most dogs of this breed are moderate to very active, some pups just like to relax on the couch. Puppies require a lower calorie intake compared to adults but not by much. A moderately active puppy should eat around 280 calories. For an active puppy, you should feed them about 400 calories. You should try to feed your puppy about three times a day. Calorie requirements for adults depend primarily on how active they are. 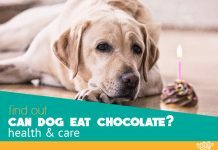 An adult with moderate activity should consume between 767-900 calories, while very active dogs should get around 1074 calories. Around 614 calories are the recommended amount for seniors. The older they become, the easier they can become overweight, so it is important to know how much to feed your corgi. Check with your veterinarian to make sure you are giving your senior the correct amount of food. Orijen Original Grain-Free is our top pick for Corgi nutrition and consists of whole meat products that are free of preservatives. Although this recipe is based mostly on protein, some carbohydrates are ideal for this breed. They need certain nutrients for energy, and some fats and proteins are perfect for maintaining weight and supporting bones as well. This formula was created to fulfill the predatory instincts of dogs and to make the food nutritious as well. With being over 85% protein based the formula consists of free-run chicken and turkey, fresh fish and dairy products. Incorporating the other 15% with botanicals, fresh fruit and vegetables is also a contributing factor to why this brand is our top pick. All of these ingredients come from Kentucky farms and are preservative free. High-quality ingredients will help provide extra nutrition poor quality food lacks. The Orijen brand takes pride in using regionally produced ingredients and understands the importance of value in fresh ingredients for their customers. Having the reassurance for good quality food for a loved one is also important attribute that is always comforting to know. Wellness CORE Natural Grain Free is a well-known brand that is recommended due to being an all natural product that focuses on protein nutrition. This is an excellent choice for dogs who have allergies because it is easy on the digestive system and does not contain preservatives, fillers, meat-by products, corn, gluten, soy, or wheat. This formula has a right amount of prebiotics, probiotics, and antioxidants that provide a well-rounded consistency perfect for corgi nutrition. It was created to make sure there are enough nutrients to support the five signs of wellness that include: a healthy skin and coat, dental, digestive health and a strong immune system. Being 100% poultry free is a noticeable difference between Wellness CORE Natural Grain Free and other top corgi foods. Herring, salmon, and whitefish create a new taste but provide a different taste compared to poultry or other animal meats. A lot of customers praise and appreciate the option for a fish and grain free formula. Side Note: Due to being grain-free, you might have to increase the amount of food you give your pup while on this food. It is important to provide extra water as well, because of the change of nutrients they will receive. Observing your dog’s behavior will help you determine all of these factors and help you gradually introduce the new food with their old. Rachael Ray Nutrish Just 6 Natural is 100% poultry free and contains entirely natural products with no fillers. The formula consists of six natural ingredients that serve specific purposes that would provide a benefit for corgi nutrition. Some vitamins and minerals add value and play an integral part of why it is in our top 3 brands. The six natural ingredients are beet pulp, brown rice, ground white rice, lamb, natural chicken flavoring, and poultry fat. Choosing a food brand with a single-protein source allows owners to control food-related allergies to specific meats. Lamb, being the protein source in this formula, is a good choice for corgis because it supports bone and joints along with providing nutrients for easy digestion and muscle maintenance. Beet pulp provides prebiotics to promote a healthy digestive system, which balances out the amount of grain from the brown and ground rice. The amount of brown and ground white rice is a perfect nutrient for corgis and will provide a great source of B vitamins and carbohydrates for their busy lifestyle. Poultry fat alongside the lamb helps maintain a steady source of energy as well. What About Overweight Corgi Diet? With weight control being a prominent health concern for Corgis, it is important to maintain a healthy diet for them. Their love for food combined with their body type makes feeding and delegating treats difficult at times. When you have an overweight pup that needs to lose under 10 pounds, portioning his rations is a great step to help them lose the weight. It is important to note that you should gradually introduce the new food into their diet so the body can adjust to the new amount of nutrients. Aiming to lose one percent a week is a perfect goal to aim for when trying to control their weight. Note that puppies and seniors should not be put on a weight controlled diet until you discuss your concerns with your veterinarian. When looking for food for an overweight dog, looking for a formula with less fat and no-grains is the idea. Wellness CORE is our recommended choice that will provide an adequate amount of protein and fats. This is an excellent choice for corgis who are overweight or have food allergies. The formula is all natural and grain free, which provides a great source of protein and fats. The use of fresh chicken, turkey, and salmon oil explain why this formula has over 80% more protein than grain-based dog foods. An amount of fruits and vegetable also add nutritional elements that will help your dog reach an ideal weight. The calcium to phosphorous ratio is the primary factor you need to look for when determining the right diet for your puppy. The ratio of calcium and phosphorus should be two parts calcium to one part phosphorus. Both calcium and phosphorus are essential for your puppy, but mainly you are looking for a formula with more calcium than phosphorus. Calcium is important to puppies because it supports their nervous system, blood regulation, and growing bones. Phosphorous, usually found in organs and meats, also helps the growth of bones. Both are vital to every puppy and should be taken into consideration very seriously within the 1.2:1 ratio. Calcium phosphorous is vital to all puppies health. Our recommendation is Orijen Puppy, which provides excellent support for a growing Corgi pup. Similar to the brand’s adult formula and provides an excellent amount of protein and whole ingredients for a puppy. Yes, it’s the right food for large breeds but we all know that the Corgis are medium size breed. It’s recommended to slow their growth and avoid skeletal problems later. Every ingredient is fresh and created to provide a well-rounded diet for large breed puppies, so this is perfect for your growing Corgi. What makes this food stand out is the amount of protein it will provide to support bone and muscles without consisting of many carbohydrates. This is an ideal formula because your puppies need that extra nutritional value with a nice balance of protein, calcium, and phosphorus combined with other key nutrients. Obesity and issues with being overweight is a continuous and shared problem for Corgis due to their particular body type. They are food lovers, so it might be hard to resist giving them human food or extra food. Learning how to choose the right nutrition will help you manage your dog’s weight and help prevent rapid weight gain. It is important not to overfeed because it could cause heart, breathing, or joint issues. 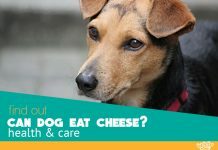 Be aware of your dog’s weight and communicate with your veterinarian if you have any concerns or questions about weight. Although Corgis are an overall healthy breed, they are known to have health problems related to being considered a “dwarf” breed. Dwarf breeds are prone to having problems with their bones and joints due to their short stature and bone structure. Degenerative Myelopathy, cataracts, Intervertebral Disk Disease, and Hip Dysplasia are common health concerns in dwarf breeds. This type of condition, also known as DM, is a spinal cord disease that is incurable and can typically be noticed between the age of 9-11. There is no effective treatment at this time, which leads to chronic paralysis in all limbs. The dog will not feel any pain with this disease, but their lifestyle will drastically be limited. Inheritance of the DM gene is passed on from one parent to its offspring. Luckily, there is a DNA test available to detect if the gene is present. It is recommended to test a dog before breeding to prevent passing on the gene. Supplements can help symptoms of DM but cannot prevent or cure the disease. Cataracts occur when the lens of the eye becomes cloud-like, which causes blurry vision. Seniors are more acceptable to cataracts, but younger dogs can still have them as well. If you notice any cloudiness or vision issues, try flushing out their eyes with an OTC eye wash or go ahead and schedule an appointment with your vet. Fortunately, cataracts can be cured if taken care of promptly. Just like humans, cataracts can be removed in surgery and have successful outcomes of solving any future issues. In some cases, it is not suggested for some to receive cataract surgery so finding a trustworthy veterinarian is important. Spinal disk ruptures, also known as slipped or herniated disks, often occur in Corgis because of the length of their backs. Stiffness, weakness and low coordination are all signs of Intervertebral Disk Disease and should be taken into consideration. If you have questions or concerns, schedule an appointment with your veterinarian. Exercise is the most preventative care to Intervertebral Disk Disease and should be integrated into their daily routine. 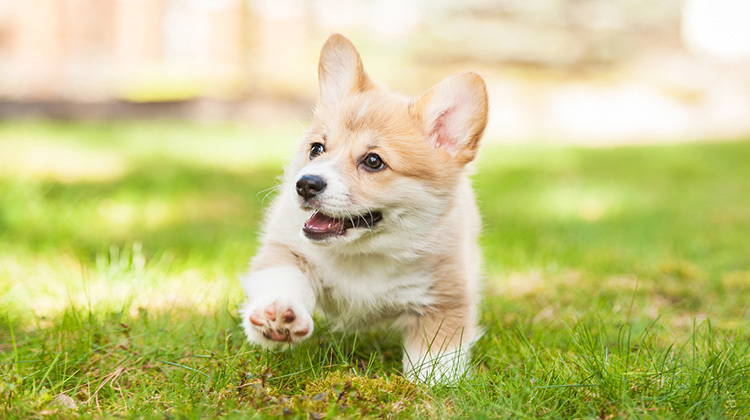 Moderate activity is an excellent way to keep your pup healthy, which will fit right in to most Corgis lifestyle. Avoiding leaping and jumping is also a good idea for this breed because it is not okay on their joints compared to their weight and bone structure. Incorporating Glucosamine Sulfate and Chondroitin into their diet is also recommended to help repair the cartilage between joints. Glucosamine for canines can be given in powders, pills, tablets, chews, or liquids. Make sure you check with your vet and your dog food before starting any supplements because some senior food has the supplements already in it. Hip Dysplasia is a genetic condition when the hip ball joint does not fit in the socket joint of the hip. The joint ligaments and tissues soften and separate the ball and socket joints causing displeasure. Nutrition, too much exercise at a young age, and genetics all play a role in a dog developing Hip Dysplasia. If a dog has arthritis it can lead to Hip Dysplasia, so incorporating omega-3 fatty acids and Chondroitin and Glucosamine is helpful to prevent further health concerns. Scheduling an appointment with your vet is a good idea to help determine if your loved one is suffering from joint pain or arthritis with a wellness exam or an x-ray. Corgis have such a high energy level it is important to find the right ingredients to support their active lifestyle. Because their breed can develop harmful health concerns with eating you need to be informed of their extra nutritional needs. It is imperative to be cautious to not overfeed your pup. Overfeeding will cause them to become overweight and become more prone to health problems. When you provide extra nutrition, it does not mean you need to give them more food. Finding a diet with the correct amount of minerals, vitamins, and antioxidants in a higher quality is the goal. Below are excellent recommended ingredients and what to avoid for corgi nutrition. Good sources of protein are one the most important ingredients for Corgis. Protein helps support muscles and tissues and boosts their energy. The first ingredients of high-quality food should include at least 2-3 meat proteins. Whole meats and meat meals are recommended for a good source of protein. Even though meat meals are controversial, it is still considered one of the best sources of protein for dogs. Meat meals simply mean the moisture is taken out of the meat. A good source of fat is an ingredient to look for because it is easily digestible and provides adequate energy for their breed. Named fat sources are what you need to look for; like chicken fat and fish oil. Chicken fat consists of fatty acids, and fish oil is an excellent source for a healthy coat and skin. Ingredients with DHA (Docosahexaenoic Acid) is recommended for puppies because it supports brain and eye development. Salmon, tuna, coconut oil, anchovy oil, and sardines are examples that have DHA. DHA supplements are available as well and come in several forms. Medium Chain Triglycerides are recommended for senior dogs because it consists of medium chain fatty acids that are said to make them feel more energetic. Coconut oil and Glucosamine supplements contain a great source of Medium Chain Triglycerides. Corgis should be given a low to moderate amount of carbohydrates. Grain free diet is an excellent alternative source of carbohydrates because it has lower carb count and easier to digest than protein and fats. This is a fantastic choice for dogs who have food allergies. Corgis should have a consistent feeding schedule to help prevent overeating issues. Dogs are more likely to gain weight if their food is left out all day, so you should only leave their bowl out for around 30 minutes. You will be able to keep track of how much they are eating and adjust if they need more or less of their food. A feeding chart will help you evaluate their dietary needs and avoid over-feeding easier. Remember they need to be fed based on their activity level, age, and gender, not their weight. Two meals per day is a sufficient amount of feedings for adult Corgis. Depending on your their energy level, it might be better to feed three times a day instead. It all depends on your pup and what is best for them. When they are between 8-15 weeks, they will almost grow a pound a week. As their owner, you need to be conscious of their energy level and how much work they are doing. A 6 pound moderately active puppy, around eight weeks, should consume around 280 calories per day and up to 400 calories for a super active puppy. Choosing a dog diet with high-quality ingredients will help accommodate a Corgi’s active lifestyle and tendencies to overeat. Understanding the correct amount of calorie requirements will help make sure you are on the right track when trying to find an ideal weight for your pet. Making sure you are aware of base food intake primarily on their energy level will help you determine the best amount of food for your pup. Because the risk of obesity or being overweight is a common problem with this breed, it is vital for you to be aware of the health concerns your corgi might be prone to. Although being an overall healthy breed, common problems with dwarf breeds are something to be aware of. An adequate amount of energy and supplements will help keep your pup in tip top shape. The role of quality protein and fats cannot be recommended enough for corgis. Providing protein will help aid future bone and joint issues and will give a great source of energy. Fat is also super important for Corgis because it also provides energy and is easily digestible. Staying away from grains will also contribute beneficial factors for your pup. Keeping a consistent feeding schedule will help you determine the right amount of food they require and aid your quest to find the right type of dog food. Being able to choose the right brand confidently will help you control the nutrients and play an active role in supporting a healthy lifestyle. Christine is a freelance writer, dog mom to four, and a cozy minimalist based out of Kansas City. She studied psychology at Kansas State University, and very passionate about providing the best lifestyle for her four pups: Tito, Sophie, Chewie, and Gronk. Thank you for you research & helpful information. I have a 4 month corgi & a 6 month old toy aussie & a 2 year old mini aussie. I’m looking for any help you can give in what kind of treats made in the USA that is low calories for my dogs that are healthy. With the recent findings by the FDA, my vet feels my Corgi puppy should have a GRAIN INCLUSIVE food. Are there any updated versions of this article? 🙂 I’m trying to find the very best food for healthy growth and development for our Corgi puppy who is currently 11.5 weeks old. Right now we have him on Fromm Puppy Gold.